Tonight the Chicago Bulls (22-58) welcome the New York Knicks (16-64) to the United Center for the first and only time this season. Chicago came out on top, 116-115 in double-overtime the first time these two got together at Madison Square Garden way back on November 5th. The two met again in Gotham City less than 10 days ago where New York was able to exact some revenge with a 113-105 victory. The Knicks enter tonight looking to post a second consecutive victory after rallying from 10 points down to defeat the Washington Wizards at the Garden on Sunday, 113-110, snapping a nine-game home losing streak. Swingman Mario Hezonja led the Knicks’ attack with a career-high 30 points, while Luke Kornet added 17, rookie Kevin Knox chipped in 16 and second-year guard Dennis Smith Jr. notched 15 more off the bench. The Bulls hit the home hardwood tonight for the final time in the 2018-19 season looking to close out on a high note after falling to Philadelphia, 116-96, Saturday here at the UC. Recent 10-day signee and former Windy City Bulls forward JaKarr Sampson enjoyed a career-night by tickling the twine for 29 points against the 76ers. However Chicago still ended up losing for the sixth time in their last seven outings. Once again this evening the Bulls will be forced to play without the assistance of the team’s leading scorer, Zach LaVine, who has been sidelined with right patellar tendonitis for eight straight games. LaVine set a slew of personal bests this season, including points (23.7), rebounds (4.7) and assists (4.5). 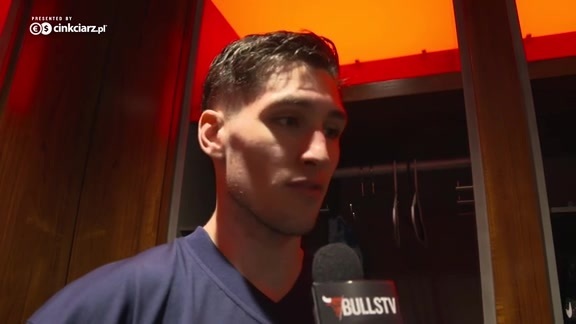 His absence, along with that of the Bulls’ second and third-leading men, Lauri Markkanen (fatigue / 18.7 points, 9.0 rebounds) and Otto Porter Jr. (right shoulder strain / 17.5 points in 15 games with Chicago), as well as starting point guard Kris Dunn (back strain / 11.3 points, 6.0 assists and 1.8 steals) has allowed players such the aforementioned Sampson (23.0 points, 8.0 rebounds, 65.8 FG% last three), Walter Lemon Jr. (14.3 points, 6.0 assists, 2.8 steals last four) and Shaquille Harrison (12.0 points, 5.9 rebounds and 2.0 steals last 10) to open plenty of eyes around the league with extended playing time. In order for Chicago to get back on the winning track this evening they’ll need every able person to show up with fire and focus for all 48 minutes of the game. Offensively the Bulls need to freely skip the ball from player-to-player and from side-to-side, making sure to everyone gets involved in the action. They have to force New York’s defense onto its heels by making them cover a lot of ground in a short amount of time by playing fast and be tenacious when it comes to attacking the basket at every chance. Collectively, the Bulls must come in with a gritty, hardnosed attitude. They have to be willing to get physical, especially when it comes to fighting for control the paint, defending the perimeter and grabbing the ball off the backboard. 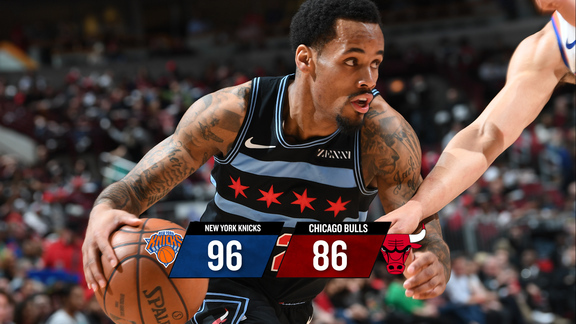 Offensively and defensively, Chicago must set the tone for the night by dictating a fast pace and take advantage of their speed and athleticism by getting out on the break for easy scores before the Knicks are able to set up defensively. They have to outhustle New York in every imaginable way and expend every ounce of energy they have from tip-off to final buzzer to come away with one more victory.